We believe Robert Mueller to be one of the most significant and dangerous of all the “Goodfellas” … a “Deus ex Machina ,” a modern Rasputin and Machiavelli wrapped in one, a Judas Goat and “Step n’ Fetch it” par excellence for the Oligarchs who reign. As matters unfold in the next days and weeks, we hope to demonstrate this. 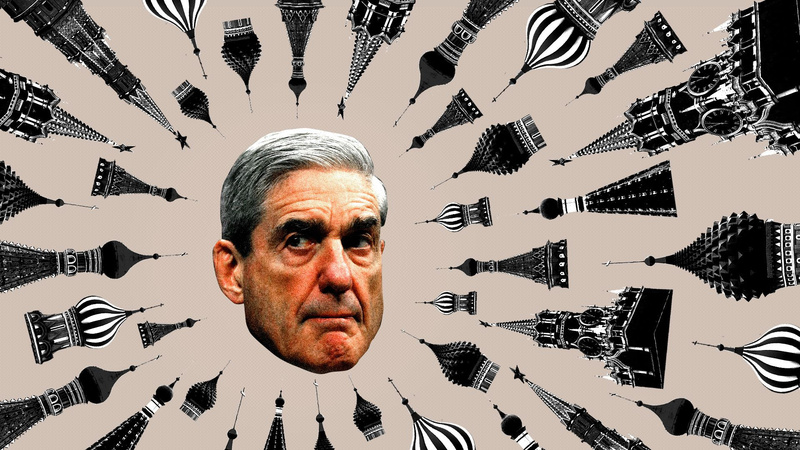 Have a look at the “Left of Center” as AXIOS reports the Mueller investigation. Now compare and contrast the foregoing with the following. What do you think? Jeff Carlson has set out to list Resignations and Firings. As a matter of fact, we dedicated a posting to him, “Robert Mueller … poster child for the “Pot calling the Kettle Black.” See also the following chart here. When you have arrived at this chart , each time your mouse turns into a hand, you can click and access underlying information. The chart is a work in progress and draft to be refined along the way. We expect our friends to be eclectic in their thinking and dispassionately review what those on the “Left of Center” are thinking. Are there indicators of the “Black Arts” in play here? Wait! A Russian military intelligence agency leased server space in Arizona and a computer in Illinois? Wait! The Russian military used bitcoin to buy servers, register domains and pay for other election-hacking activity? Wait! The Russian military used screenshots and keystroke-capture to monitor dozens of DCCC and DNC employees as they typed? Wait! The Russian military tried to trick more than 30 Hillary Clinton campaign employees into clicking on a document titled “hillary-clinton-favorable-rating.xlsx” (that actually went to a Russian website)? Wait! The Russian military extracted opposition research on Republican candidates in bulk from the DNC, as part of a multi-gigabyte haul? Wait! A lieutenant captain in the Russian military named Nikolay Yuryevich Kozachek (Козачек Николай Юрьевич) disguised himself online as “blablabla1234565″? That’s what I kept thinking as I read special counsel Robert Mueller’s 29-page indictment yesterday of a dozen Russian intelligence officers (from Boris and Ivan to Sergey and Viktor). Mueller has now indicted or secured guilty pleas from 32 people and three Russian companies. He has keystroke-by-keystroke reconstructions of online activities by the Russian “Conspirators,” as the indictment calls them — down to their web searches. He’s going broader, deeper, wider than people realize — following the money, following the keystrokes, following the concentric circles of characters. His indictments and plea agreements are providing a serial narrative of what Sen. John McCain has called an “act of war” perpetrated during one of the closest elections in American history. Yesterday’s indictment was so significant because its scope went far beyond propaganda efforts and into a physical attack on America’s state-by-state machinery of democracy. This wasn’t an attempt — the Russians actually succeeded in some of their incursions. The attack was more sophisticated and involved vastly more resources than most U.S. politicians realized. Be smart: David Kris, founder of Culper Partners consulting firm and head of the Justice Department’s National Security Division under President Obama, told me that Mueller is following traditional prosecutorial practice by starting at the outer ring. There’s been such a flood of stories about who Robert Mueller has interviewed for his Russia investigation — and who’s been charged in connection with it — that it can be easy to lose track. Here’s a map to help you keep every move straight. How it works: The map starts with the people who participated in key events and the ones who have been charged. Expand this story and you’ll see the rest, including current and former Trump administration officials and the people with more distant connections. Trump Tower meeting: The June 2016 meeting between Jared Kushner, Paul Manafort, Donald Trump Jr. and a Russian national in which they were expecting damaging information about Hillary Clinton, but didn’t get it. Russian ambassador meeting: Kushner and Michael Flynn met with Russian ambassador Sergey Kislyak in December 2016. Flynn later asked Kislyak not to escalate Russia’s response to new sanctions imposed in the last days of the Obama administration, and then lied to the FBI about it. Page meeting: Carter Page met in Moscow with Russia’s deputy prime minister and a Russian oil official in June 2016. Papadopoulos meeting: George Papadopoulos met in London in March 2016 with a professor who later told him Russia had “dirt” on Hillary Clinton. 12 Russian military officers were indicted for hacking and releasing the emails of Democratic campaign organizations, including the Hillary Clinton campaign and the Democratic National Committee, in an effort to interfere with the 2016 presidential election. Michael Cohen. Trump’s personal lawyer has been raided by the FBI, and Mueller is looking into his activities, but there have been no reports that Mueller’s team has questioned him directly. President Trump. And, of course, Mueller hasn’t questioned the president — yet. This story has been updated to include the indictments of the 12 Russian military intelligence officers. Editor’s note: Axios’ David Nather, Lauren Meier, Haley Britzky, Lazaro Gamino and Andrew Witherspoon contributed to this story. Next Next post: $400,000,000 BOMB!